Treating animals with respect and compassion to maintain a healthy and comfortable herd of cows is top priority for our dairy farmers. The class clowns of the milking world, Jerseys are very curious and usually cause mischief on the dairy. Their milk produces the highest butterfat and protein which makes their milk great for making cheese. Considered the high-performance athletes of the milking world, Holsteins are the most popular dairy breed worldwide. 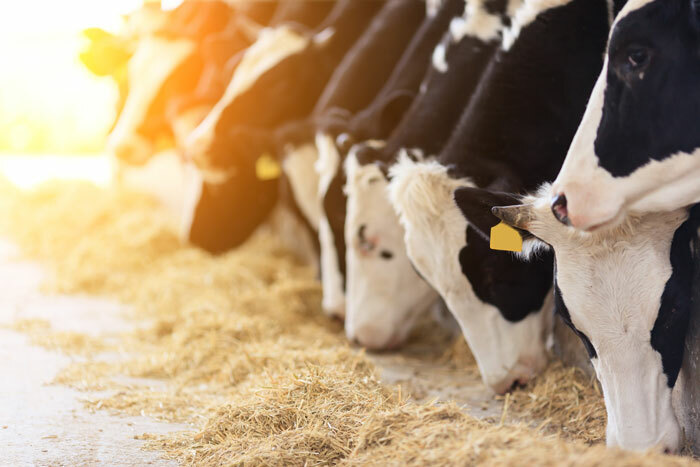 To ensure optimal milk quality, professional cow nutritionists work with farmers to develop balanced diets that contain good sources of protein, fat, fiber, vitamins and minerals from feed mixtures that include grasses, alfalfa, cottonseed, corn, and almond hulls. Nutrient ratios and amounts are formulated for cows based on where they are in their lifecycle. Equally important is hydration. Cows can drink anywhere from 25-50 gallons a day, so access to clean water is available 24 hours a day. Regular veterinarian check-ups ensure a healthy herd. Just like us, cows sometimes get sick and occasionally need antibiotics to restore their health. While a cow is being treated with antibiotics, she is isolated in a separate pen and her milk is disposed of. Strict systems are in place, including rigorous testing both on the farm and at the processing plant, to ensure that milk is antibiotic-free and never enters the food supply. Nevada dairy farmers actively participate in the National Dairy FARM® program and are FARM® certified. 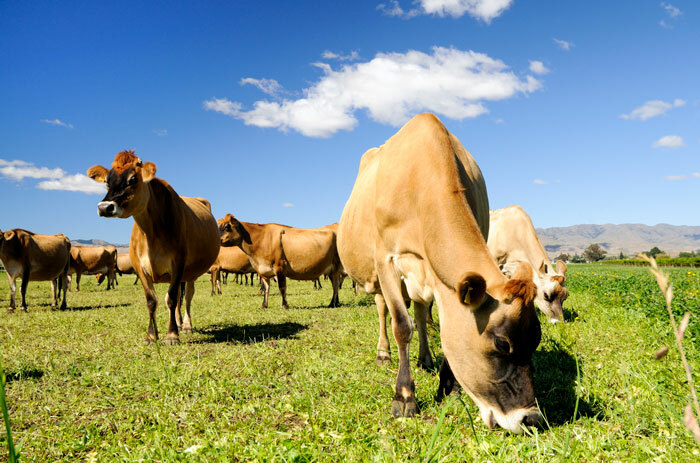 The National Dairy FARM Program™ is a nationwide, verifiable animal well-being program that brings consistency and uniformity to on-farm animal care and production practices.